This is an interview with Tanzanian hip hop producer Duke, founder of M Lab records, Tamaduni Muzik, and the Hip Hop Kilinge (cypher). The interview is mostly in SWAHILI, but we switch back & forth a lot. The Hip Hop African podcast celebrates the various elements of hip hop, but this is our first interview with a hip hop producer. Duke talks about how he became involved in hip hop in Tanzania, his involvement with the founding of Tamaduni Muzik and the Hip Hop Kilinge (cyphers) they used to host. These cyphers used to bring hundreds of youth from around Dar es Salaam to listen to the DJs, hear MC rhyme, participate in cyphers, buy hip hop fashion made by local artists. Duke also talks about issue of copyright and the art of sampling and the role of the producer in hip hop. We also discuss sounds, the role of the boom bap sound, as well as chopping up other sounds to create a unique sound that represents Tanzanian hip hop. He also talks about the top five artists outside of Tanzania that he would love to work with, as well the directions he sees hip hop in Tanzania going today. Haya ni mahojiano na Duke, prodyuza wa muziki wa hip hop Tanzania, mwanzilishi wa M Lab Records, Tamaduni Muzik, na Hip Hop Kilinge (cypher). Mahojiano yako zaidi katika SWAHILI, lakini tumechanganya na English kidogo. The Hip Hop African Podast inawakilisha nguzo mbalimbali za hip hop, lakini haya ni mahojiano yetu ya kwanza na prodyuza wa hip hop. Duke anazungumzia jinsi alivyohusika katika hip hop nchini Tanzania, kushiriki kwake na kuanzishwa kwa Tamaduni Muzik na Hip Hop Kilinge. Kwenye Kilinge, vijana vyengi kutoka Dar es Salaam walikuja kusikiliza muziki uliochezwa na DJs, kusikia sauti ya MC, kushiriki katika cyphers, kununua bidhaa za mitindo ya hip hop. Duke pia anazungumzia suala la hakimiliki na sanaa ya sampling na jukumu la prodyuza katika hip hop. Tulizungumzia pia sauti ya boom bap, na pia kuchop sauti nyingine ili kutengeneza sauti ya kipekee ambayo inawakilisha hip hop ya Tanzania. Pia anazungumzia kuhusu MCs watano wa nje ya Tanzania ambao angependa kufanya kazi nao. Pia tulizungumzia muelekeo wa Hiphop ya Tanzania katika nyakati hizi. Ghana born, Bronx raised hip hop scholar Joseph Ewoodzie has published the book Break Beats in the Bronx: Rediscovering Hip-Hop’s Early Years, a book that uncovers details of hip hop’s early years in the South Bronx. Ewoodzie’s book provides rich details of hip hop’s history in the South Bronx. In this interview he discusses his decision to write the book and touches on some of the major themes the book addresses. 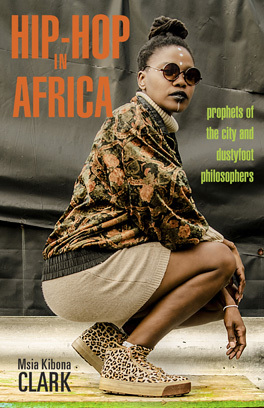 For example, Ewoodzie talks about the social economic environment in the South Bronx that gave rise to hip hop, environments that mirrored the environments that gave rise to hip hop in Africa. In this episode we speak with Ghanian-born, U.S. based artist Laura Lora. In the interview, Laura Lora talks about her experiences an artist, navigating between Ghana and the United States. Growing up in Los Angeles has definitely influenced her music and style, as she talks about being Ghanian and American. Laura Lora, who majored in Black Studies in college, also talks about her experiences in the African American community, and with the divide between Africans and Africans Americans in the United States. Her music and work has also placed her in conversations around gender and sexuality, where she chooses to confront ideas on how African, or Ghanian women should dress and behave. In this interview she also addresses ideas of beauty and femininity, which she has also chosen to challenge. Laura Lora is very conscious and intentional about her music, and the messages she wants to send. She is very intentional about her confrontations with gender and identity. Her most recent video for the song “Rebel” blends hip hop, femininity, Ghanian ascetics, and American sounds and visuals. The colorful video is clear in its expression of all of these identities. This conversation with Rock the Mic winner, and Cape Town MC Klein Fortuin took place at the Trinity International Hip Hop Festival at Trinity College in Hartford, Connecticut in April 2018. Klein Fortuin won the Rock the Mic competition held by Heal the Hood, a Cape Town based hip hop community organization. In the conversation Klein Fortuin talks about his career and hip hop in the Mitchells Plain township in Cape Town, South Africa, which is home to a legendary hip hop scene and the birthplace of South African hip hop. Klein Fortuin talks about what makes that township such an epicenter for hip hop culture in South Africa. Klein Fortuin also talks about his win in Heal the Hood’s Rock the Mic competition and commercial and underground rap scenes in South Africa.